Hotly anticipated trial known as Zarrab case finally commenced yesterday and it is not known how long it will take. 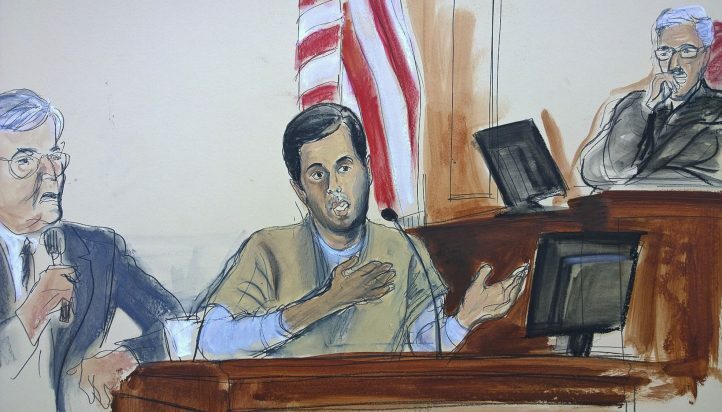 Turkish-Iranian businessman Reza Zarrab, charged with conspiring to violate US sanctions on Iran with a scheme known as gold-for-oil, pleaded guilty and accepted all accusations against him. He had been charged with nine other suspects including Mehmet Hakan Atilla, a Halkbank official, the sole arrested suspect of the case. Since then he has been standing at the trial as witness set to testify against Mr Atilla. Yesterday he testified about how he bribed many Turkish officials as part of the scheme to evade US sanctions on Iran. He identified pictures of two former ministers, Egemen Bagis and Zafer Caglayan. Zarrab attested yesterday before the jury that he had given around €40-50 million, $7 million and 4,5 million liras ($1.1 million) to the then-Economy Minister Zafer Çağlayan between March 2012 and March 2013 as part of a deal with him. This case is also important since the accepted evidence in filed court papers suggest the involvement of some very high/top level Turkish officials/politicians. Presented documents and evidence show that there had been many meetings between Turkish officials, Iranian officials, Zarrab and state-owned Halk Bank officials to find a way to evade the US sanctions to extract Iranian funds from Halkbank. US prosecutors accuse these people of running a very complex scheme to help the Iranian government bypass the US sanctions over its nuclear programme. It is claimed that a gold for oil programme has been set up. Zarrab and his associates shipped gold from Turkey to Iran in return for oil and laundered the proceeds through state-owned Halkbank. Mr Zarrab first arrested by Turkish police in December 2013. In December 2013 Turkish police launched a corruption investigation that implicated many officials including an Iranian born Turkish citizen,Reza Zarrab and some members of the cabinet. Zarrab was accused of bribing senior Turkish minister to cover up facilitating Iranian money transfer through bogus companies to buy oil and gas from Iran in exchange for gold. The recordings caught on police wiretaps, which were presented as evidence to the court, suggested that four ministers of then Prime Minister Recep Tayyip Erdogan’s cabinet were involved in a dirty business, helping Iran to evade American sanctions by trading gold for gas. These wiretaps presented by Turkish prosecutors in December 17, 2013 corruption investigation were accepted by the US courts and appear to be sufficient evidence for many Turkish officials to be convicted, although they were not seen credible and were not accepted by the Turkish government that manipulated the Turkish courts back in 2013. Today, the Turkish leadership is claiming that the Gulenists are restaging the “judicial coup” of 2013 in the US. Recent revelations suggest, however, that the Americans were aware of the Zarrab ring even before the Turkish police launched its operations in late 2013. That an American court is referring to the legal wiretapping of now dismissed and arrested Turkish police officers may be a small condolence to the officers involved. We have yet to see the real reason behind the anxiety of Erdogan’s regime in Ankara about this case.